On February 16, 2001 a delegation of BADIL Resource Center met with the United Nations' Special Committee mandated with the investigation of the causes of the current violent crisis in the 1967 occupied West Bank and Gaza Strip as well as Israeli human rights violations committed since 28 September 2000 (UN High Commission on Human Rights, Resolution E/CN.4/S-5/1 of 19 October 2000). BADIL's meeting with the three-member UN Committee was part of a series of meetings with Palestinian, international and Israeli NGOs and official Palestinian institutions. The Israeli government continued to uphold its boycott of the UN Committee and official Israeli institutions refused to meet its members. 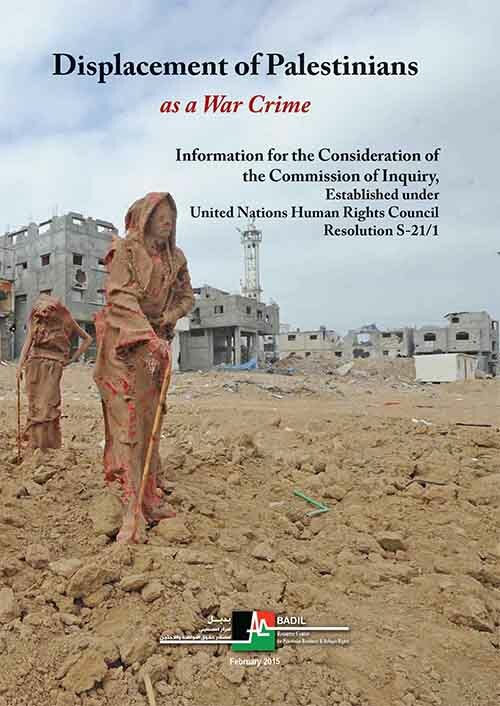 The UN Special Investigation Committee's report is scheduled for discussion at the upcoming 57th session of the UN Commission on Human Rights to be opened in Geneva on March 19, 2001. BADIL presented to the Committee a joint NGO-appeal for urgent international intervention to protect the Palestinian right to self-determination and refugees' right of return which was endorsed by 52,000 individuals and groups. 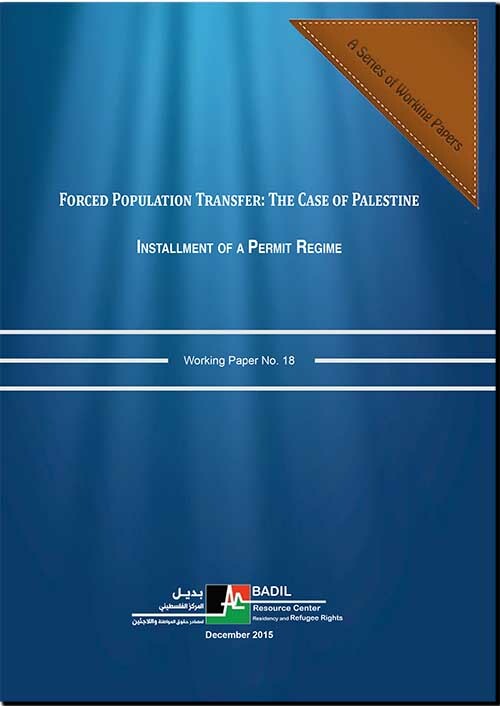 BADIL also presented and discussed with UN Committee member Prof. Richard Falk, documents illustrating the specific impact of the current Israeli violence on Palestinian refugees as well as their specific protection needs. 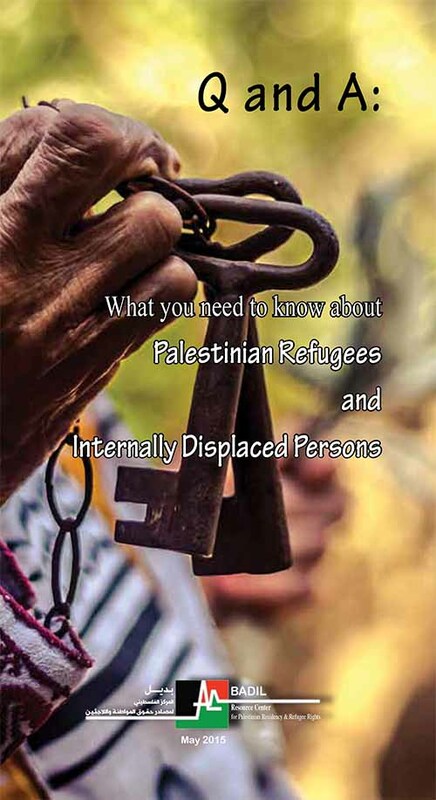 BADIL emphasized that Palestinian refugees, who comprise 50 percent of the population in the 1967 occupied West Bank and Gaza Strip, represent an especially vulnerable group, because their rights are violated two-fold: by the Israeli occupation under international humanitarian law, and by the absence of protection of their rights as refugees under international human rights and refugee law. 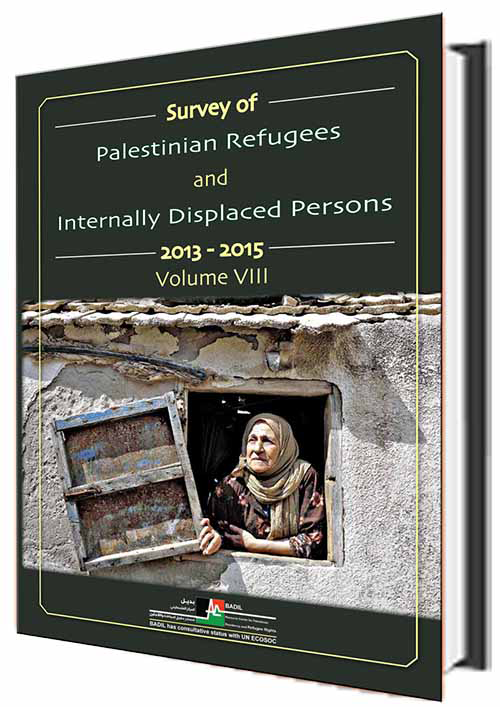 The lack of protection and resolution of their 52-years-old refugee situation has turned them into a landless, economically poor and marginalized sector of the population in the 1967 occupied territories that lacks savings and means of subsistence needed to cope with loss of income from labor and employment resulting from the current Israeli closure policy. 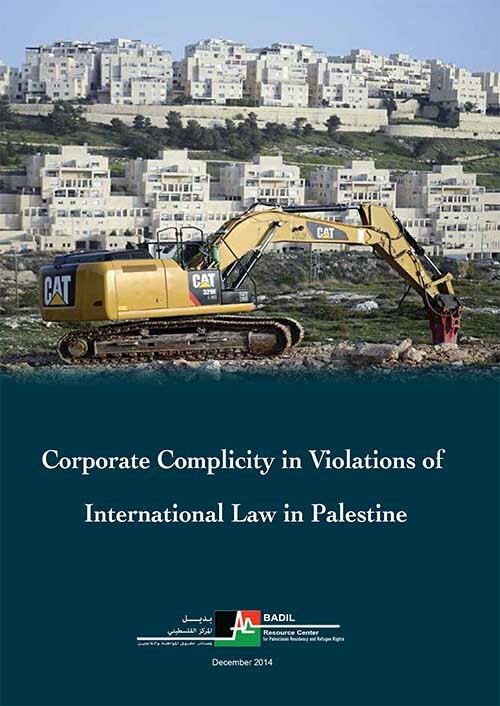 The absence of an international protection agency also means that it is difficult, if not impossible, to gather comprehensive, standardized information on the impact of Israel's violations of human rights on refugees during the Al-Aqsa Intifada. Data presented in BADIL's report has been assembled by BADIL community workers and partners supplemented by material from other non-governmental and governmental agencies. According to this partial data, 69 or nearly 35% of the total of 204 Palestinians killed by Israeli armed forces in the West Bank by 11 February are refugees. In the Gaza Strip, of the total of 145 Palestinians killed, 77, or about 60% are refugees. This figure, however, is probably low, given the fact that the data represents only refugees registered with UNRWA. An indication of the damage incurred to refugee property is provided by the damage assessment of two refugee camps in the Bethlehem District - 'Aida and Beit Jibrin/'Azza camps reported damages of US $120,000 by 31 December 2000 - and by estimates of damage to refugee property located outside refugee camps in the Beit Jala, which amount to US $2.5 million. It is important to mention here, that each incident of Israeli shelling has devastating effects. The amount of damages incurred to 'Aida refugee camp was almost doubled in the night of 11 to 12 February, when residents reported an additional damage of US $100,000 (not included in BADIL's report to the UN Committee). 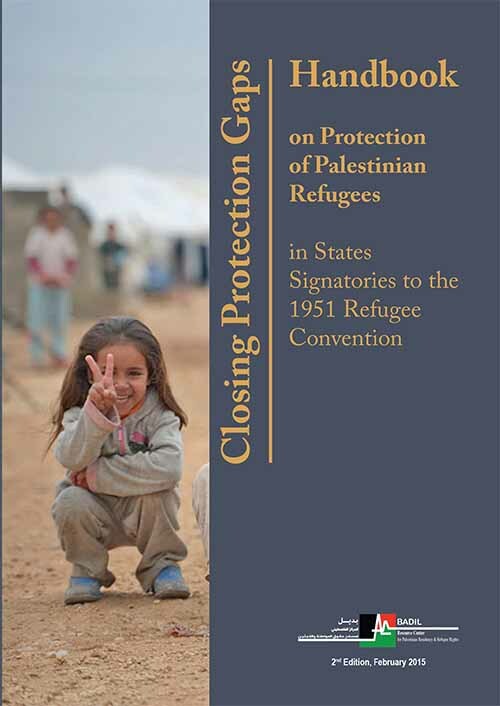 BADIL urged the UN Committee to raise in its report the urgent need for a UN supervised mechanism of protection for Palestinian refugees, which, in addition to UNRWA assistance, could monitor and safeguard implementation of their daily human and civil rights, as well as refugees' right of return, restitution and compensation in the framework of a future durable solution.